Here we are again with yet another fantastic round up of ‘In the Bag’ entries. February’s bag contained forced rhubarb, an orange and sugar. Let’s take a look at the dishes you made. 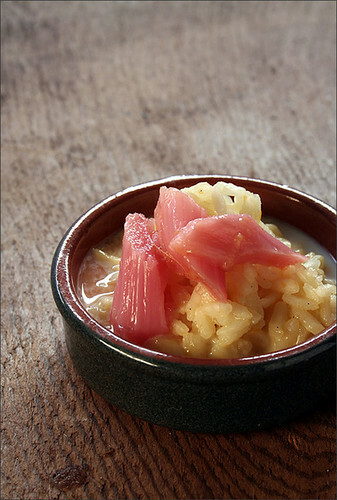 Andrew from ‘Spittoon Extra’ entered this wonderful Sweet Risotto with Rhubarb Compote. 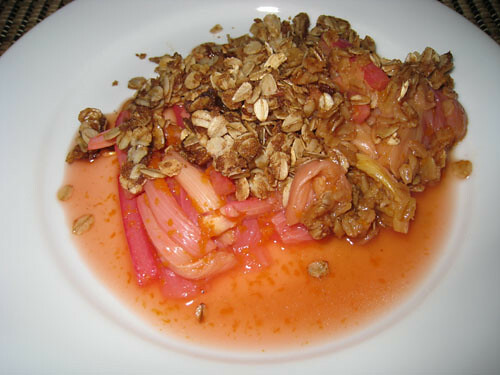 Kevin from ‘Closet Cooking’ made us this sweet Rhubarb Crisp. 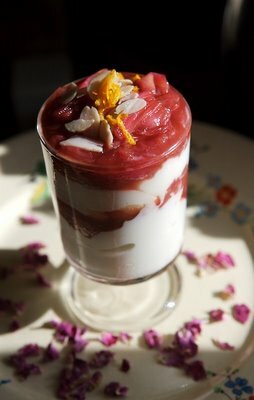 How about this Rhubarb Orange Cream Pudding from Caitlin of ‘The Gooseberry Fool’? 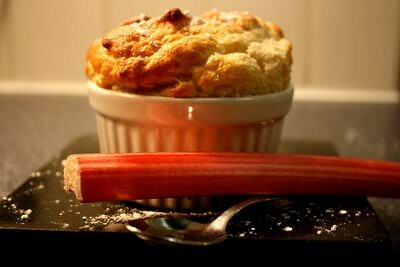 This tempting Rhubarb Souffle was entered by Jonathan of ‘Around Britain with a Paunch’. 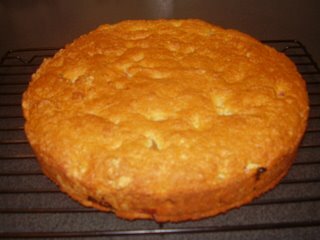 I’d like a slice of Cakelaw’s (from ‘Laws of the Kitchen’) Rhubarb, Orange and Yoghurt Cake. 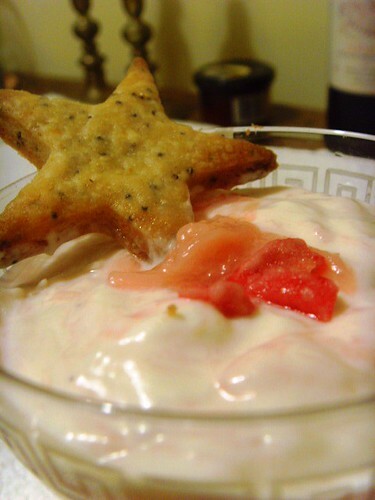 This Rhubarb Fool with lovely little Orange Poppyseed Biscuits was entered by Antonia of ‘Food Glorious Food’. Now for a savoury entry from the lovely Kai over at ‘Kai in London’. 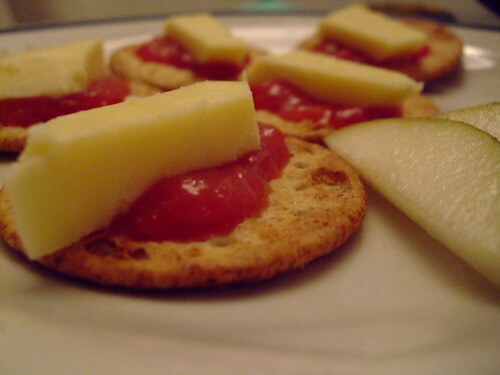 She made a Rhubarb Relish. 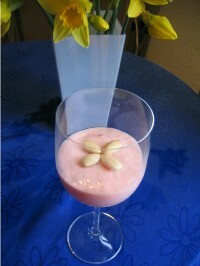 Wouldn’t you love to delve into this Rhubarb Fool from Pixie at ‘You Say Tomato…..I Say Tomato’? 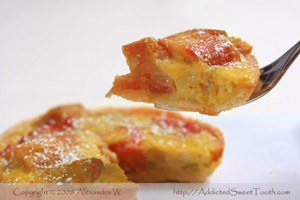 Alexandra from ‘Addicted Sweet Tooth’ baked us a fabulous Rhubarb Custard Tart. 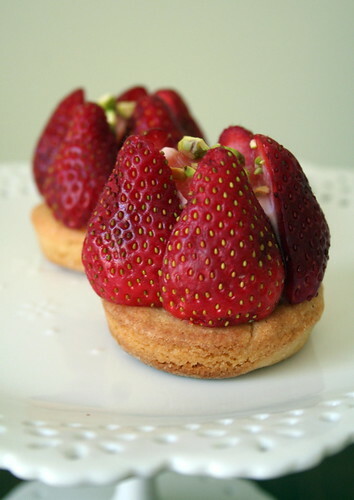 I’m drooling over these Rhubarb and Strawberry Tarts from Aran of ‘Cannelle Et Vanille’. 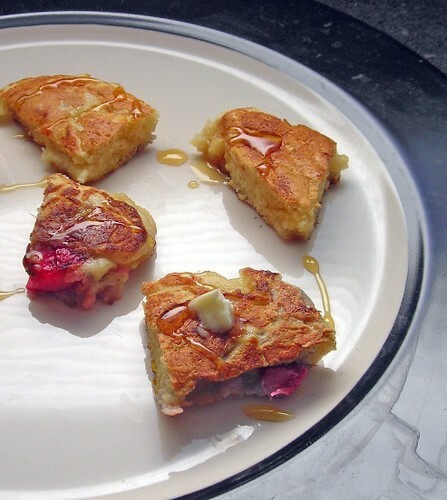 Rachel from ‘Coconut & Lime’ had fun with these Rhubarb and Orange Pancakes. 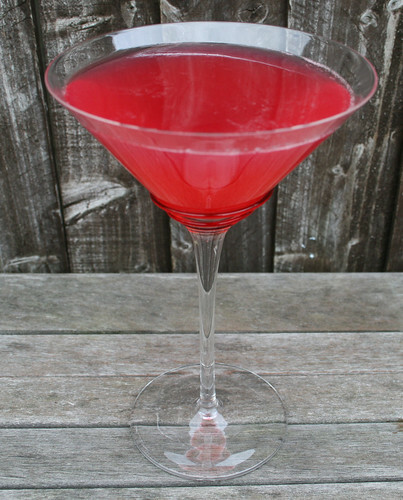 My own entry was a Orange and Rhubarb Jelly. Next Post Easter Cake Bake, Round 2!